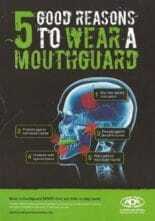 Save Your Teeth, Wear A Mouthguard When Playing Sport! in your chosen sport. 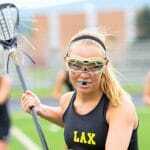 In most team sports there is policy on the wearing of mouthguards. We love this policy! We can fix broken teeth or replace teeth that have been displaced or lost but they are never the same strength as they once were. If the tooth is lost and we replace it with an implant the strength of the implant is great, but it is still not your own tooth. We would rather make you a personally fitted mouthguard in a variety of colours to help prevent tooth breakage or loss in the first place. Michelle’s favourite colours are teal, black and white or double blue and Kylie concurs with the teal, black and white at least. Although Julie’s fave is red, blue and yellow! We can even do sparkly purple if need be! 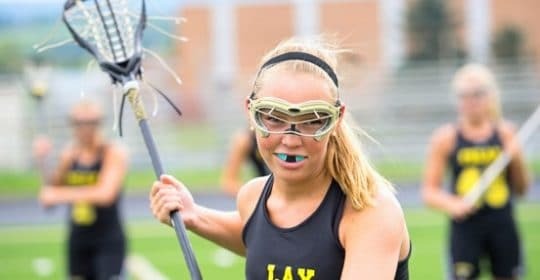 A mouthguard can be a fashion statement too! 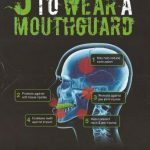 To make the mouthguard we will take a couple of impressions of your upper and lower teeth and our favourite local dental laboratory, Adelaide Laboratories, will construct a mouthguard to fit. We will then check and make sure it works for you. Two appointments and the reduced chance of broken teeth. We all prefer teeth in one piece! Our clinic would like to announce that Catherine and Matthew have a new baby boy, Daniel, a brother for Marcus and Nathan. The boys are very excited to have a baby brother! The city is nearly back in business after the Fringe, Adelaide 500 and the tram works. There is still some tram works along North Terrace so that road can be a bit busy. Carine has been working with us since Catherine went on maternity leave and she is happy to help you look after your teeth or make your children a mouthguard.